each night in the fire glow? Christmas 2014 came and went and with January so came the snow. Holly was as playful as ever, enjoying walks in the winter sunshine with her son, daughter and granddaughter. 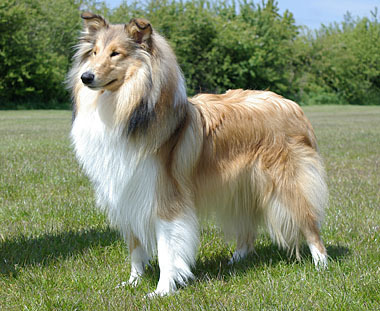 We even remarked how well she was doing for a dog that was fast approaching 11 years of age. She tried to get to her feet but couldn’t. Instead she swayed and staggered and slumped back down. Our hearts sank. This looked seriously wrong. Check her temperature... 101.8F Check the colour of her gums... pale white, no colour. Our hearts were now racing. This is bad, this is very bad. 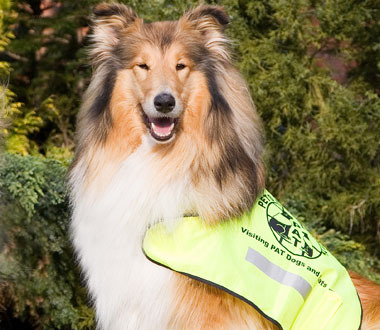 Immediately we phone the vet emergency number and get a call back with in a few minutes. We are on our way to the surgery where the emergency vet is waiting. The gums are inspected again “This looks like an internal bleed” and we are on our way to the room with for an ultrasound scan. It immediately looks far from normal - a large mass is present and a lot of free fluid. We discuss a possible speenectomy, a transfusion but we have to do a blood test first to see if she can handle a general anesthetic. We sign the consent form and all we can do now is wait. A few hours later we get a telephone call with bad news. She ‘crashed’ whilst be being prepared for the operation. They could not revive her. It was over. We went back to the vets to bring her home. Never has a journey seemed so long as we were still trying to take in what had happened. When we got home we put her on the floor in the garage, and then brought Connor, Kerry and Cara in to see her, so that they might know, in their own way, that she was no longer here. They took it in turns to approach and sniff Holly’s body. Connor, Kerry and then Cara. 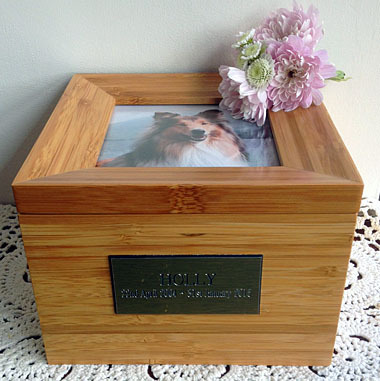 Holly was taken to Kingshill Cremations and cremated on Sunday and her ashes collected on Monday 2nd February. May Holly rest in peace until we are united with her again. 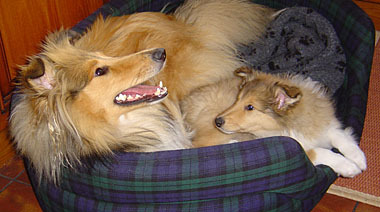 Above: Holly loved to cuddle-up with Tess - right from the beginning they became inseparable! Below: Just a year old - Holly loved going to shows with Tess. 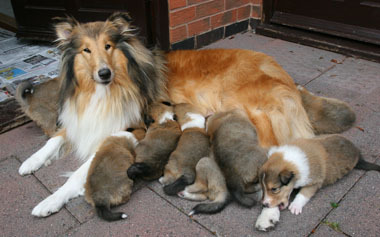 Holly was a proud mum and gave us a litter of eight healthy pups, including Kerry and Connor who still live with us at home and allow Holly to live on in our lives. 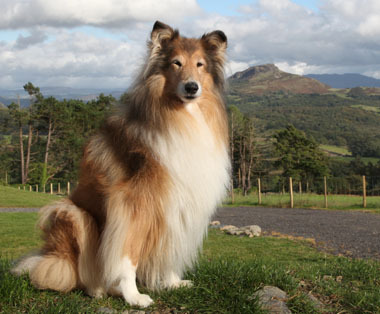 Holly was a registered Pets As Therapy dog and touched many hearts when she visited the local care home and hospital. Holly as we will remember her on the hillside above Pentrefelin.